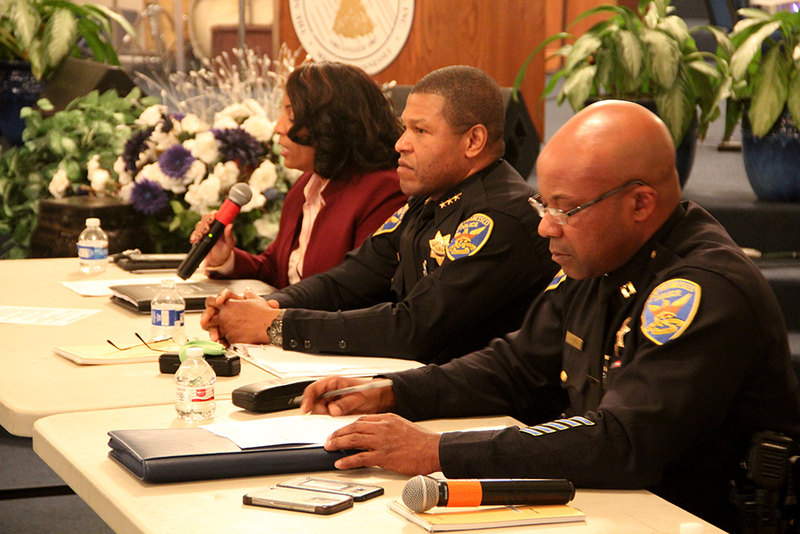 Bayview residents are dismayed over the swift departure of a police captain they say was finally making inroads with the neighborhood’s African American community, many of whom remain mistrustful of the San Francisco Police Department. When asked why he departed, Ford did not offer an answer. He said only that he was “proud to continue that role” in the Professional Standards unit. No one is unhappy with Ford’s replacement, Captain Valerie Matthews. Instead, residents focused on Ford’s short tenure, which also suggests that Matthews will also have a limited stay. Bayview residents, and even public officials with deep knowledge of the area, have spoken up to question the department’s practice of rotating captains out quickly — especially ones, like Ford, who were viewed as making progress. Former District 10 Supervisor Malia Cohen, who now sits on the California State Board of Equalization, shared in the frustration. There is no hard and fast rule on the time a captain stays at a station, he said. When Ford began in Bayview in October, 2017, he said he viewed the assignment as a homecoming. “I know this district like the palm of my hand; it’s my old stomping ground,” he told Mission Local shortly after joining the station, noting that his parents grew up in the Bayview and Potrero Hill. Bayview experiences one of the highest violent-crime rates among San Francisco’s residential neighborhoods. It saw 760 serious violent crimes in 2018, 21 more than South of Market. Meanwhile, San Francisco’s African American residents, a large number of whom are concentrated in Bayview-Hunters Point, continue to be disproportionately stopped and detained, and experience a disproportionate amount of force from officers. With his experience in best practices, connection to the Bayview, and nuanced view of criminal justice, Ford seemed to be the perfect candidate for the job. For once, a police captain was going into the community to build relationships. And the community embraced him. “He’s one of the best I’ve worked with over the years,” said Pastor Walker. Walker said that when Ford stepped in, Walker advised that the new captain meet regularly with community leaders and make himself available to residents. Ford listened. He had been on the job only two months, and while his words were met with some skepticism, he ended up fulfilling his pledge. “Captain Ford was relating to the community to the point that when he walked to down the street, people walked up to him,” said Lynn Westry, a Bayview resident and a member of the Department of Public Health crisis response team, which helps families cope with the trauma of violent death. But Westry, who sits on the SFPD’s African-American Advisory Forum, objected to Ford’s departure when she caught wind of it. Even before Chief Bill Scott made the new command staff assignments in December, Westry pushed for Ford to stay. “Because of the inroads Ford was making, we wanted to make sure he was not transferred out,” she said. Whatever the reason, Chief Scott moved Ford to headquarters. And perhaps accepting that the practice of rotating may never change, Bayview residents said that — at the very least — Ford and the department could have told them about his departure. In the station’s monthly newsletter, Ford did write that he was leaving, but important community leaders did not get the memo. Richard added later during a phone interview that informing the community before a new captain steps in allows both the community and a new captain to be prepared. “It gives us the opportunity to have input and give us information about the changes that were going to be made,” he said. Valerie Matthews, the new Bayview captain, has been with the department for nearly three decades. She transferred to the Bayview Station from the department’s Major Crimes Unit. 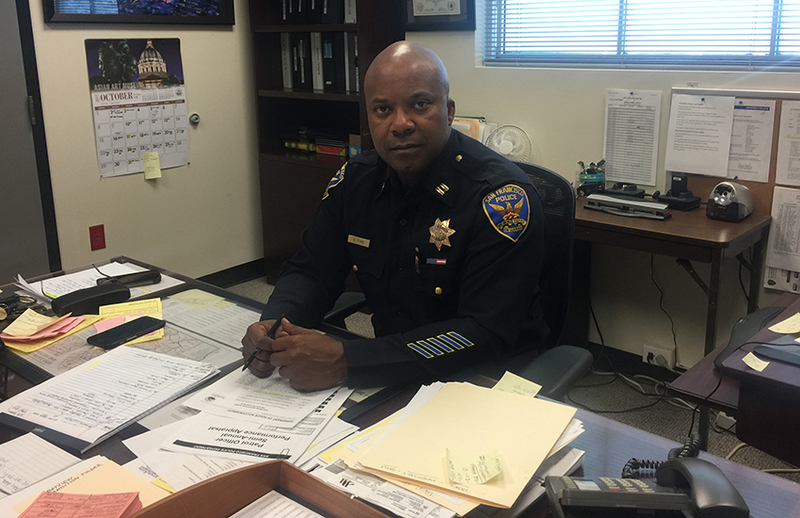 Matthews was once the vice president of Officers for Justice, a Bayview-based police group that largely advocates for black and minority officers. As a captain with Major Crimes, Matthews became a regular fixture at recent town hall meetings following officer-involved shootings, sitting next to Chief Scott to listen and absorb the wrath of angry community members and activists. She sat next to Scott and Ford during the town hall following the shooting of the unarmed Keita O’Neil. Many residents to whom Mission Local spoke knew Matthews and respected her. Lyslynn Lacoste, director of the Bayview-based youth community organization BMAGIC, was disappointed with the departure of Capt. Ford and frustrated by the constant changing of the guard. She said that in her seven years of doing work in the neighborhood, she has seen five different captains assume the post. Lacoste said, however, that the real relationships and “continuity” has come with what she called “supporting officers” at the station. “That’s who we rely on because we know they’re not gonna leave,” Lacoste said. From what I’ve read about “the old days in SF”, police captains were often on the take from operators of establishments of vice. Legend is that’s how “The Tenderloin” got its name. Perhaps moving leadership frequently is a way to reduce that. FWIW the military also rotates leadership frequently for the purposes stated in the article. Since police(and fire) are paramilitary organizations, it’s plausible they would have similar policies. SFPD has only so many Captains and when one retires or gets promoted a game of musical chairs ensues. At Richmond Station, we’ve had four since 2015. Still, I wish the Department would look into ways to soften the effects of all the frequent moves.